The construction of the 5.5-m long 11T dipole prototype was completed in May this year after several years of intense work dedicated to the development and optimisation of the special tooling, and of the related manufacturing and inspection procedures. Most of the construction activities took place in the Large Magnet Facility in building 180 at CERN, with contributions from industry, namely Alstom Power Systems (FR), ASG Superconductors (IT), Babcock Noell (DE), and Oxford Instruments Nanotechnology Tools (UK). The magnet is made of two apertures, as it aimed at replacing two LHC main dipoles in the dispersion suppressor regions of LHC, one on either side of IP7. The coils are made up of Nb3Sn conductor, hence necessitating reaction in an argon furnace at about 650°C for 150 hours in order to form the Nb3Sn superconductor. After this, the coils are impregnated with epoxy resin to form the cable insulation system. The prototype is currently on the test bench in building SM18 where it will be tested in the course of June-July in nominal operation conditions and further. The prototype will be fully characterised in terms of quench behaviour, protection, field quality, stability and memory. In parallel with this, the collaring procedure has been refined within the framework of a dedicated task force initiated in the end of 2017. One of the two magnet models of 2-m length, MBHSP107, which is part of the task force deliverables, is almost finished; it will be tested at cold in July. The results of the performance tests of both the full-length prototype and the model SP107 shall confirm the solid foundations of the project, when at the same time the series production has started in the Large Magnet Facility. Prof. Mariana Mazzucato on innovation and the concept of "missions". New concepts build upon a strong link between linear accelerators, FELs and quantum lasers. ...a worldwide project to enhance LHC potential to discover. The 8th HL-LHC Collaboration Meeting took place last October, in Geneva. 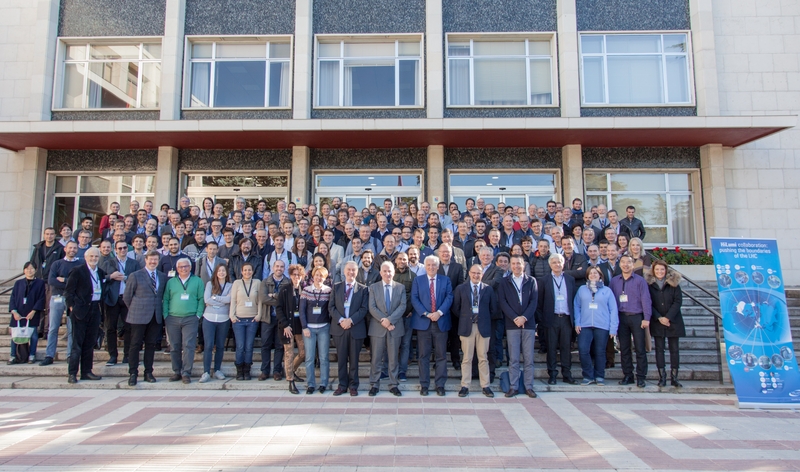 The 7th HL-LHC Annual meeting in Madrid took place in November. An intensive week to review the progress done during 2017 and the objectives for 2018. The HL-LHC project is moving to construction phase. The hardware models as well as the prototypes of the equipment in their final configuration are under construction or currently tested. In 2017, the HL-LHC project achieved a number of key milestones. The first crab cavity prototypes built in the US were successfully tested by LARP collaboration that is transforming into US-HL-LHC AUP (Accelerator Upgrade Programme) and the full cryomodule containing the crab cavities built at CERN was successfully tested at 2K; just in time to be integrated in the SPS during the winter where their performance will be studied next year by using a beam from the SPS. The first low impedance collimators were tested and characterized in the LHC machine together with the crystal collimation concept (not in HL-LHC baseline). The test of the first long prototype of the MQXF quadrupole, manufactured by US-LARP-AUP for the new low-b HL-LHC insertions has just started in BNL. The first results are expected in February. Moreover, the construction of the first 11 T magnet and DS collimator and the test of the first long SC link, all manufactured at CERN, were among the highlights of the HL-LHC week. In addition, the successful implementation of the ATS optics (devised for the LHC upgrade) and the tests of the full detuning operation mode of the LHC RF system during the LHC operations: are two key ingredients that increased the performance of the LHC in 2017 and pave the way for its high-luminosity upgrade. This year we had an international review that validated technically the e-lenses and equipment that could be part of the HL-LHC baseline. Finally, we have concluded on the interface between the machine and the experiments. These above developments in all these different fields show how the HL-LHC project is making progress towards final implementation. 2017 was also the year for the preparation and adjudication of some of the bigger contracts of HL-LHC. The tender for civil engineering works for Point 1 and Point 5 (including large excavation and construction work) was announced in July and is presently under final evaluation. The contract adjudication will be done in March and the first civil works for HL-LHC are expected to start in summer 2018. This year has also seen the first tender for the collimators that will be installed during the next Long shutdown 2 (LS2). The adjudication in December will ensure their delivery on time for their installation before mid-2020. In parallel to the construction of the crab cavities cryomodule to be tested in the SPS in 2019, the tendering of the Jacketed Crab Cavities DQW type has been placed. The contract will be adjudicated this December and will be complemented by the work done by AUP on the RFD type crab cavities. Also in the field of the 11T magnets, HL-LHC adjudicated the tender for the construction on CERN site of the coils for the 11T dipole. An industrial service contract where skilled employees will use the facilities built at CERN and that were used to build the first models and prototypes of the 11T dipole. The next challenge for HL-LHC is to ensure a coherent integration lay-out that will meet the constraints imposed by the lay-out of the civil engineering and the preparation of a first version of the installation plan. Meanwhile, the optimization of the design and construction of the components is in progress. “As the window to keep various options in the planning narrows we need to work hard to make final choices for the implementation of an industrial construction roadmap” says Lucio Rossi HL-LHC Project Leader. The second HL-LHC Collaboration Board also took place during the HL-LHC week. HL-LHC steadily becomes a global project. 18 HL-LHC Collaboration Board members and 11 collaboration partners with R&D contributions work together with CERN to make possible HL-LHC. The gathering in Madrid showed the interest of the community on the development of the HL-LHC technologies with multiple proposals for in-kind contributions. 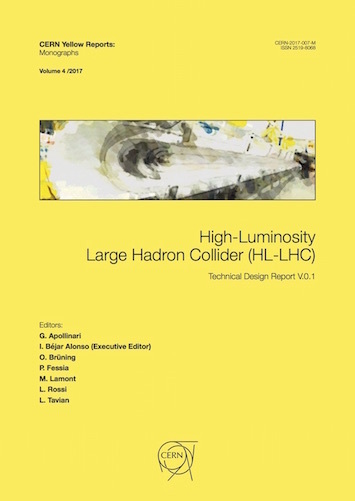 To learn more about the HL-LHC Project read the Technical Design Report (TDR) https://e-publishing.cern.ch/index.php/CYRM/issue/view/40 and or brand new website . The Accelerator and Technology sector (ATS) and the Knowledge Transfer (KT) group jointly hosted the first ATS-KT Innovation Day.